Awaken's Mission: To reconcile this generation to Jesus Christ and empower them to live mature and missional lives. More than anything else, Awaken is a church committed to reaching the Next Generation: Young singles, young families, and the young-at-heart. As a church, we eagerly embrace people from every age group and cultural/ethnic background. More than that, however, we are a church that believes we exist to help meet a great need – to impact a young generation that is becoming increasingly disconnected from God and the church. That need burdens us, fuels us, and is a large part of defining what Awaken is all about. So, our vision is to partner with like-minded Saints and churches to introduce the young and young-at-heart to a beautiful God who inspires faith and offers redemption to a world lacking in both. As a result, we have committed ourselves to certain practices. We envision a faith community that embodies and emulates the life of our Savior and “Life-giver” Jesus Christ. We envision a worship experience that connects our emerging generation to a revolutionary God through a worship experience that stirs our senses and arouses our soul. We envision Homegroups where our people model Biblical community. Homegroups where we demonstrate Biblical love, acceptance, forgiveness, fervor, and sacrifice. We envision every member serving the church according to need and within the scope of how God has uniquely gifted and crafted us. We envision reaching the world by engaging our local community, mission trips, strategic partnerships, and planting new churches. We believe this will happen when our people take personal leaps of faith and regularly engage in the Gospel. We envision these dreams becoming a reality as we choose to love, serve, and believe together in a God who desires to accomplish the impossible with and through us. God the Father, by His own choice and out of love for sinful men and women, sent His Son, Jesus, the Christ, into the world to reconcile sinners to Himself. Jesus was conceived by the Holy Spirit and born of a virgin. He was God in the flesh, both true God and true man. Jesus lived a sinless life and voluntarily suffered and died as our substitute to pay the penalty for our sins, thus satisfying God’s justice and declaring righteous all those who trust in Him alone. Our aspiration is that our church and ministries will be defined by a wholehearted devotion to God, through prayer and by studying, obeying, and teaching His Word. Reliant Ministries: Reliant Ministries mobilizes missionaries to work in their local churches for the purpose of evangelism, discipleship and church planting. We train, employ and serve missionaries as they raise a team of supporters for their ministry. GCM was founded as a mission agency in 1989, and today it employs hundreds of missionaries who work to expand God’s kingdom in North America, Europe, Asia, and Latin America. 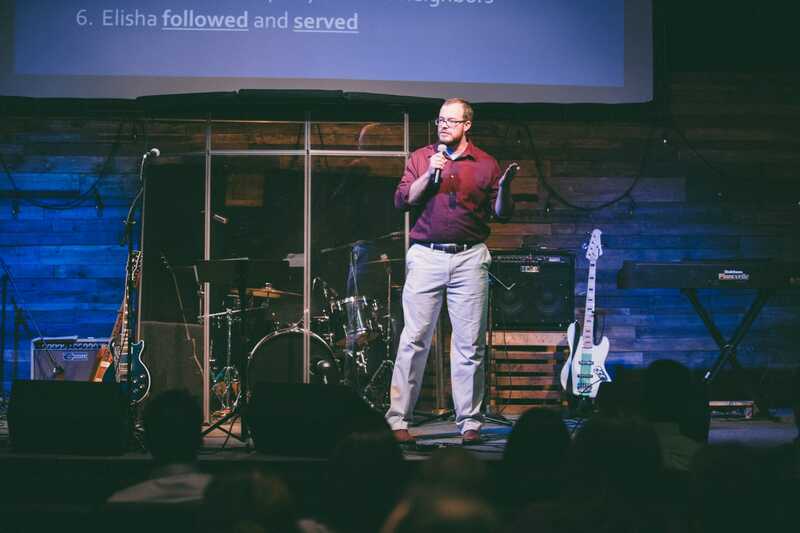 The Awakening: The Awakening is our UNF student organization committed to effectively discipling college students at the University of North Florida and empowering tomorrow’s leaders to fulfill their God-given potential. In addition, we are affiliated with organizations outside our Great Commission network of churches to connect ourselves with the worldwide body of Christ.